Anesthesiologists take home a median $290,000 salary annually. What other great careers from Money and PayScale.com's list of Best Jobs in America offer big paychecks? Richard Won, director of accounting at Yelp! in San Francisco. Accounting directors keep track of the money going in and out of a company and manage the accounting staff. It's a big job that often comes with hefty paychecks. "There's never a dull moment in the accounting department because my job isn't just about number crunching. 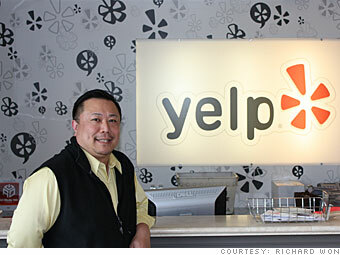 I mentor a sharp team of people who are eager to support our corporate objectives," says Yelp! accounting director Richard Won. "Prior to joining Yelp, I had been working in accounting for nearly 20 years, including managing and building accounting departments for companies such as Visa, eBay and Shutterfly. I jumped on the opportunity to join the accounting team at Yelp and apply the managerial skills I had developed in my past roles. It has absolutely been worth it!" Note: We looked at jobs from the top 100 with the highest top pay. Median salary is for an experienced worker (at least two to seven years in field). Top pay represents the 90th percentile.